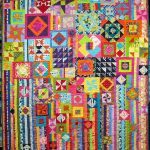 After May’s drought once again there was a lovely variety of quilts on display at the June Monthly Meeting. 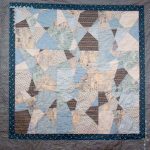 Quilts were made for family members, from travel souvenirs, using new and old fabric and just for the fun of the challenge. 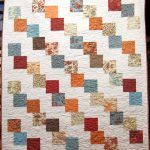 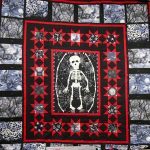 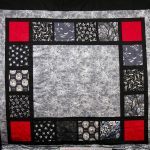 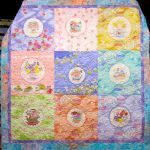 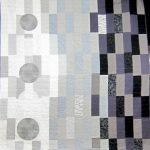 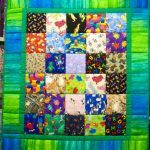 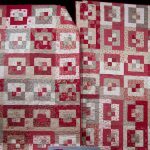 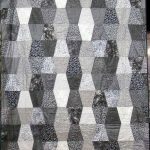 If you click on the image you will be able to read what the maker said about her quilt.